Aries : A new romance promises a more steady relationship. Sit down to discuss what you have in mind with your lover. Unless you have some firm aims you will never be able to proceed. Taurus : Do not stonewall your mate just to make the point that you are in a serious mood. humor will play a vital role in maintaining a close relationship. Travel requires patience because of delays. Gemini : Do not be upset when someone close to you acts unreasonably and childishly. Make the best of a bad situation by being polite and understanding. Cancer : You may feel more confident than usual about your abilities and skills. There is chance to meet one of your old friend. Plans for a get together can become more complicated than expected. Leo : This is a good day to concentrate on your personal pleasure. Romantic singles may feel as if a dream is becoming a reality. Youngsters may need more severe discipline than usual. Virgo : You need to change course if you feel you are in the wrong path. Do not let the changes annoy you. Every one make mistakes and get consolation from the fact that you have corrected yourself. Libra : This is a good day to count your blessings and take pleasure in being with those who love you. Accept things as they are and remove emotional road blocks. Scorpio : You will find it difficult to concentrate on a particular thing, your mind keeps on wandering. If you are going on a job interview, be confident enough, don't attempt to buff your way. Sagittarius : Today is the right time to resolve to clear up the disruption. Be honest about anything that may have hurt your feelings, by expressing it openly. This is the day to fortify your own physical system. Capricorn : Good day to host a dinner party or a less formal gathering. Keep out your far-out opinions to yourself, or at least water them down if it is obvious they are likely to cause offense. Aquarius : Your need to keep control of a situation by never giving away all the information, will come under fire today. Today will see an emotional release, as a realization of how good things really enlightens you. 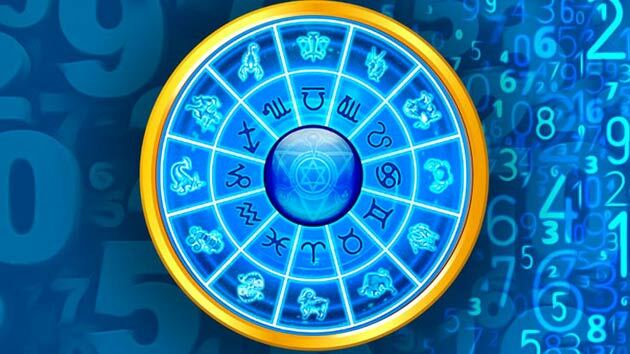 Pisces : Favorable day for signing partnership deeds. Someone will try to make you feel bad about your way of doing things. Take a deep breath and calm down in order to avoid doing something rash.